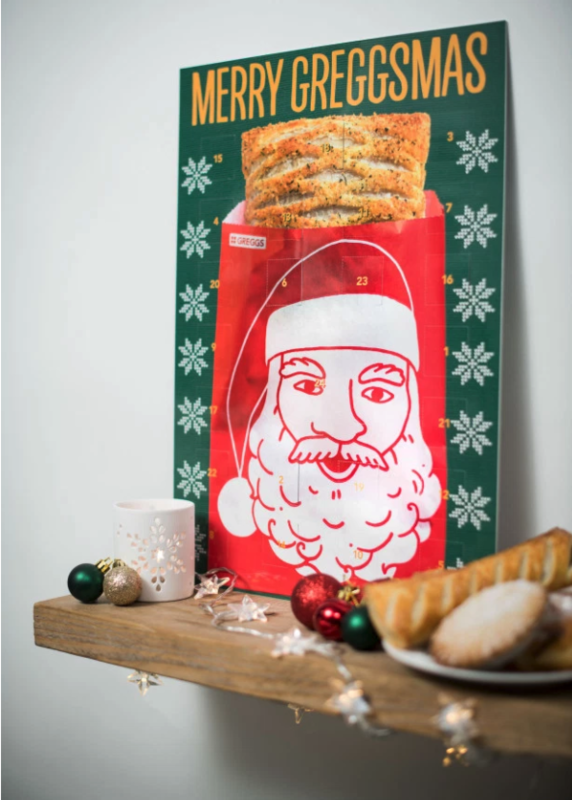 STOP WHAT YOU'RE DOING: Greggs are releasing an ADVENT CALENDAR! 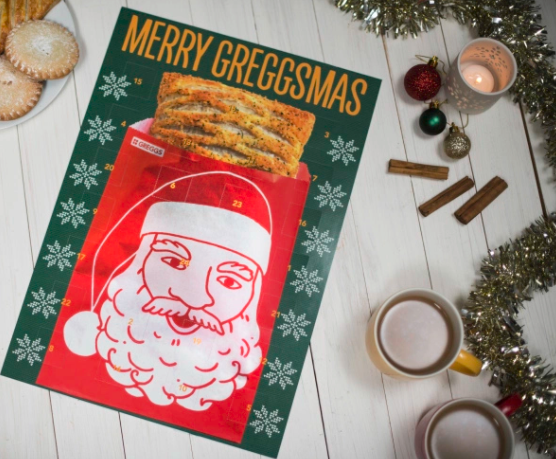 STOP WHAT YOU'RE DOING, THIS IS NOT A DRILL: Greggs are releasing an ADVENT CALENDAR. Yes, you read that 100% right... the bakery of the people is releasing the advent calendar of our dreams. If you're tired of overdone chocolate advent calendars: often stingy and unfulfilling, then this is absolutely the advent calendar for you. Available from Monday 20th November for a very reasonable £24, each door will reveal a token which can be redeemed everyday at Greggs in exchange for a delicious festive treat on their Christmas menu. The Christmas menu is an absolute festive frenzy of goods, including mince pies, the classic Festive Bake, the Christmas Club sandwich, the Christmas lunch toastie, and much, much more. The contents are collectively worth over £60, so the price of £24 is an absolute steal. Not only this, but on the 24th eager fans will receive a £5 gift card behind the door, ensuring Christmas to be the sweetest of days. The contents of the calendar, which will be accompanied by 'a festive Greggs scene', will be redeemable between the 2nd and 24th of December. They'll only be available as long as stocks last, and with limited stocks, they're bound to sellout quick. So what are you still doing here?! Want more tasty deals from Greggs? Head over to our exclusive Greggs page here.